Science and Application of High-Intensity Interval Training blends the science of HIIT with practical application. 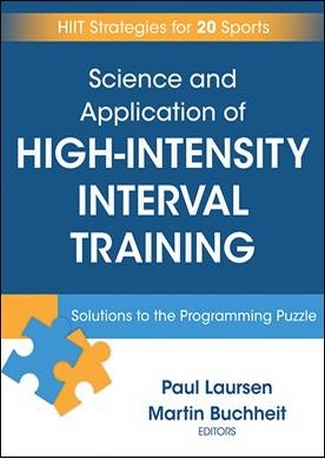 The authors and a team of highly-qualified contributors provide an understanding of the foundational principles of HIIT programming. The guide covers all aspects of HIIT programming. It includes information on the five types of training, manipulating HIIT variables and incorporating HIIT into training programmes. It also features details on how HIIT influences fatigue, stress and overall health. Knowing the right ways to incorporate HIIT into a fitness or conditioning programme is extremely important. Science and Application of High-Intensity Interval Training is the perfect guide for anyone wanting to incorporate HIIT into their workout programme.